Are you looking for a restaurant were you just have to be open to be noticed? Here is a place that can't be missed. Perched high up on a hill as a stand alone restaurant this is an outstanding location that is an attention grabber. Huge signage, top of the hill location along a super busy street with a drive thru, this place is calling your name. 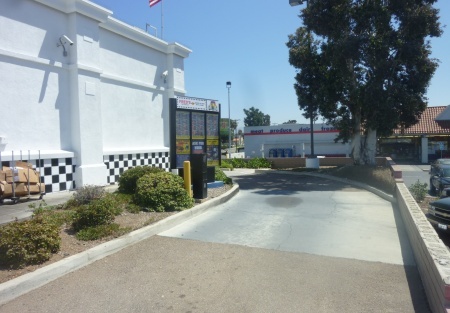 Lots of parking to go along with the drive thru make access to this restaurant super easy for your customers. Gross sales of $1,131,108 in 2011 lead to a net seller stated profit of $147,937. Buyer MUST confirm this statement. Broker has not verified it. These are numbers from an absentee owner location with a combined food and labor of 64%. Can you do better controlling costs here? Rent as a percent of sales was 8.2%. Space is approximately 2600 square feet with rent at $7400 month. Current lease term expires in July of 2015 with a five year option available. With a strong tenant the landlord has expressed interest in doing a brand new long term lease, are you that tenant?. This location is one of three similar restaurants and can be purchased as a single unit or as part of the multi unit concept that it currently is.